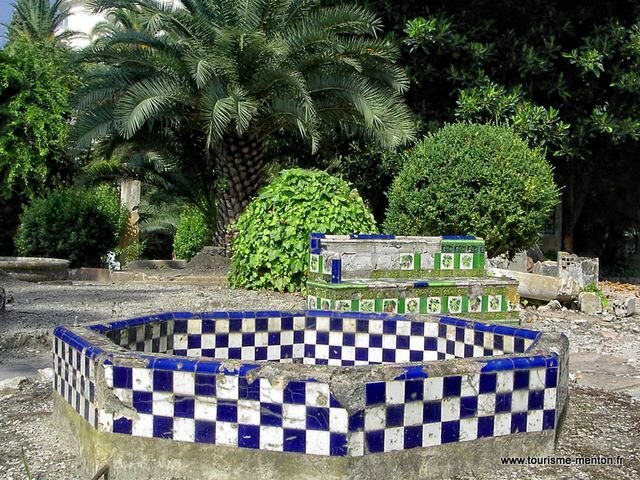 Fontana Rosa is a historic Valencia-style garden of ceramics on Avenue Blasco Ibanez in Menton, dedicated to the memory of important writers. 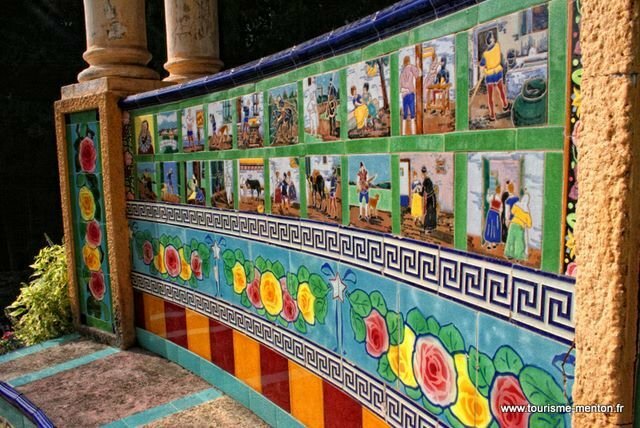 Fontana Rosa is a historic Valencia style garden of ceramics on Avenue Blasco Ibanez in Menton, dedicated to the memory of important writers. 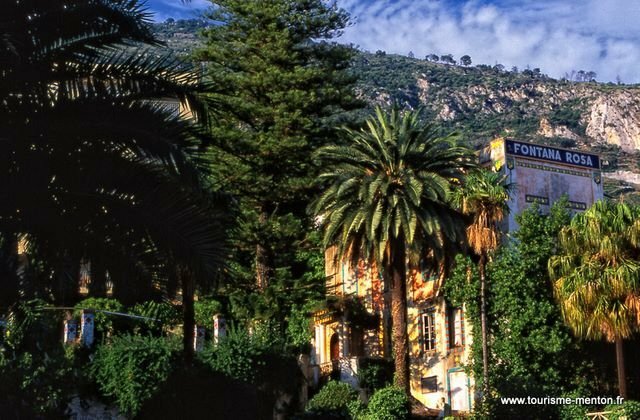 The Spanish scriptwriter and novelist Vicente Blasco Ibáñez (1869-1928) began to build it in 1922, set up home with his second wife, Elena, and died there in 1928. 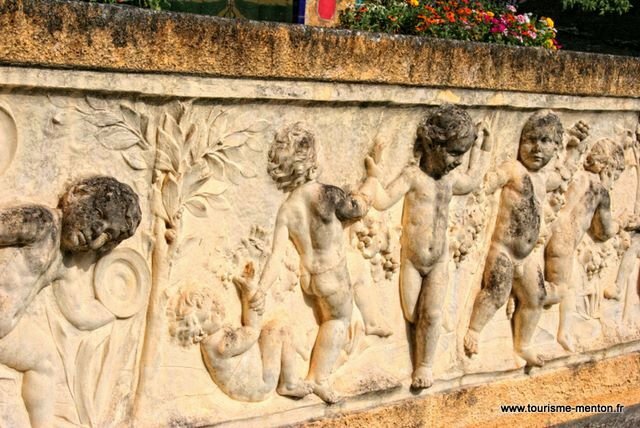 The garden is also called "Le Jardin des Romanciers" (The Garden of Novelists), as it was frequented by several celebrities such as Jean Cocteau. 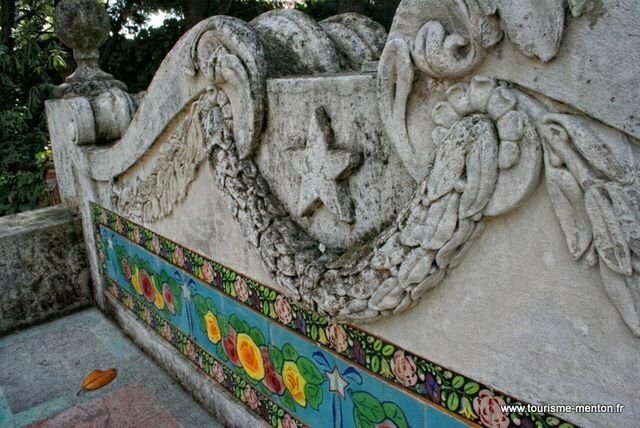 Blasco Ibáñez wrote "Mare Nostrum" in this beautiful garden, a novel filmed later in 1926. 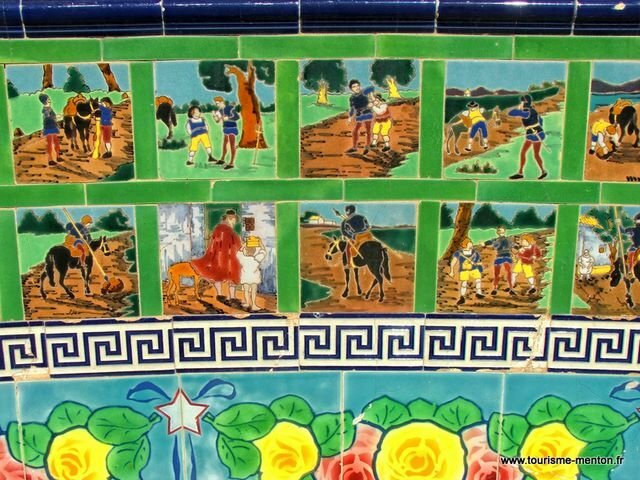 The garden inspired by Andalusian and Arabian-Persian styles contains plant species such as Ficus macrophylla, Araucaria heterophylla, palm trees, banana trees or scented rosebushes. 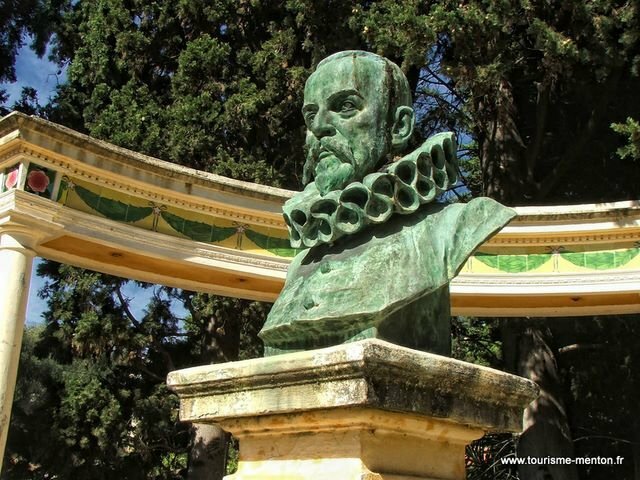 It is a tribute to Vicente's favourite writers: Cervantes, Dickens, Shakespeare or Honoré de Balzac, whose busts can be found at the entrance. 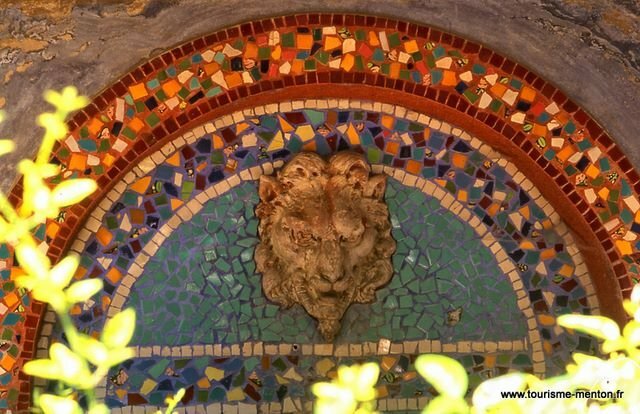 Its main buildings are a small elevated villa with colorful pottery - which houses a library and a personal movie projector room - and a main house (Villa Emilia) in the lower part of the property that dates from the 19th century. 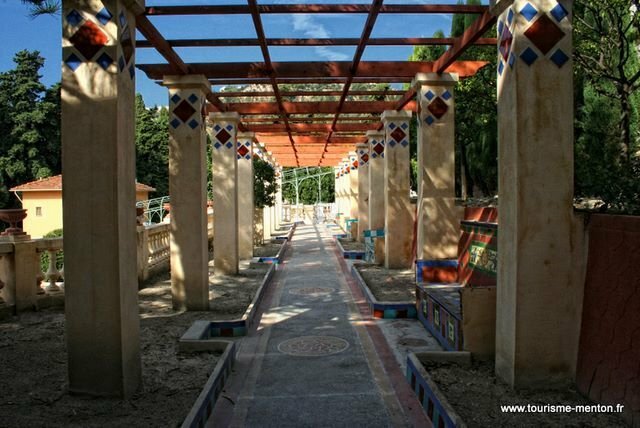 The architectural complex also has an aquarium, a colonnade, a concrete pergola, pillars, flower vases, ceramic-panelled benches around the main house and a big round, steel pergola covering a long staircase in the middle of the property. The "Rotonde de Cervantes" (the Rotunda of Cervantes) is amongst the most beautiful achievements. 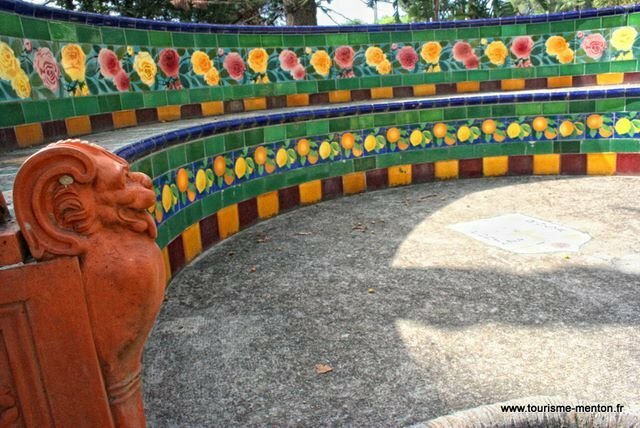 This place has benches, pergolas, ponds and columns covered entirely with ceramics.